In the last 45 years, India and South Korea developed bilateral relations in various fields. 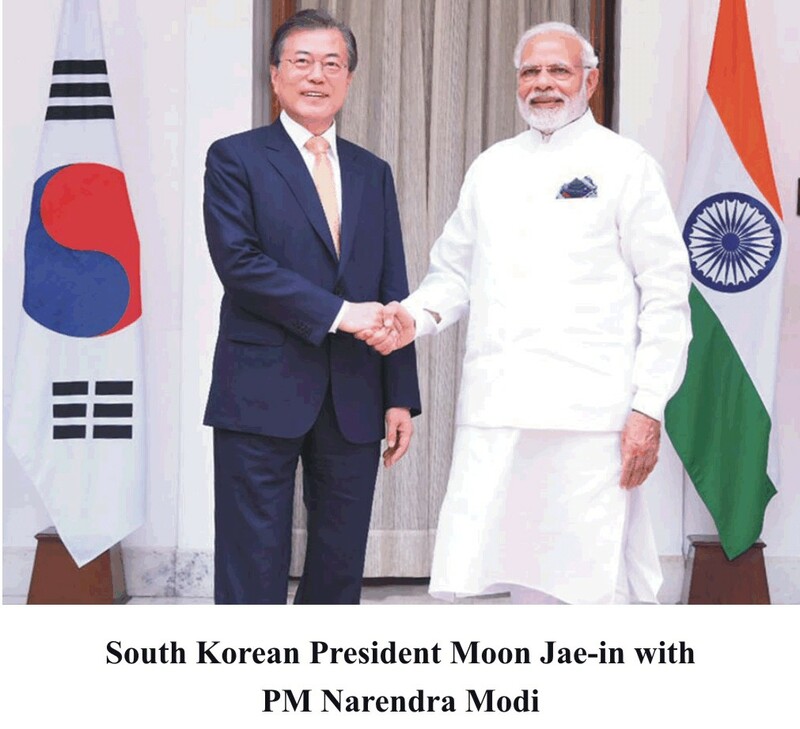 During the Prime Minister Modi visit to South Korea in 2015 escalated the relations to special strategic partnership. 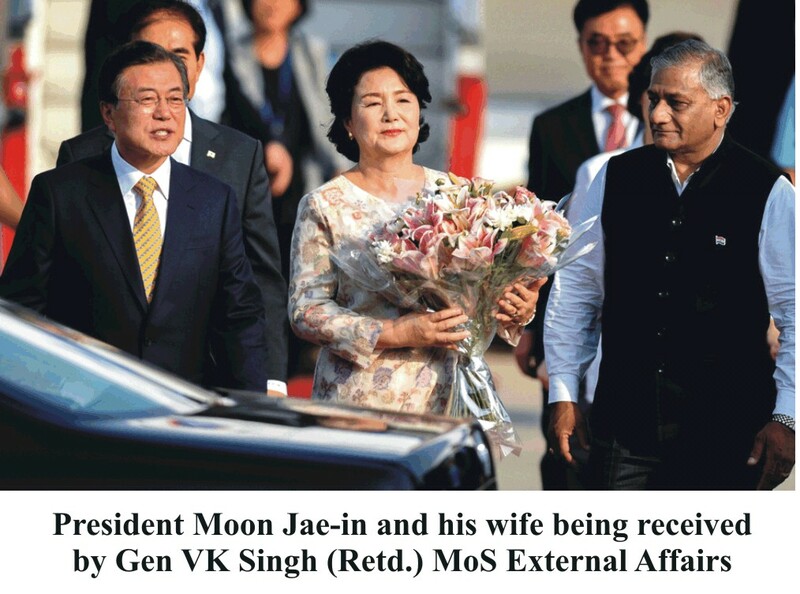 In the recent visit of South Korean President Moon Jae-in to India and Prime Minister Narendra Modi held talks on several key issues such as Korean peninsula, bilateral trade and defence cooperation, to open new avenues for expanding the bilateral partnership, particularly in the economic domain to boost trade and defence cooperation. Both the leaders visited a Samsung plant in Noida for inauguration of enhanced capacity and addressed an India-Republic of Korea CEOs round table. South Korea’s development is in itself excellent developing example for the world to follow Korean companies have made an identity for themselves due to their commitment. India and Korea have agreed to intensify leadership-level contact, including through biennial visit by the leaders of the two countries to promote cooperation for people, prosperity & peace in response to the fourth Industrial Revolution so as to create emergence of future growth envisioned by cooperation in a vigorous manner. When it comes to policies, India's 'Act East Policy' and Republic of Korea's 'New Southern Strategy' have natural common grounds. Resolving to work towards promoting mutual prosperity, India and Korea agreed to expand bilateral trade, through the early conclusion of ongoing negotiations to upgrade the ROK-India Comprehensive Economic Partnership Agreement (CEPA) and to work towards the goal of raising bilateral trade to US $50 billion by 2030. In the last couple of years, South Korea has also emerged as one of the largest FDI contributors to India. As India strives to develop its own broader industrial capabilities, the partnerships with friendly Southeast Asian international defence players could provide an avenue for capability and knowledge transfers. This would also enable countries to grow not only their defence industry base but also benefit adjacent industries, supply chains and local distribution networks. Some of the MoUs/Documents signed between India and the Republic of Korea during the State visit of President of Korea to India recently. MoU on Future Strategy Group. Cultural Exchange Programme for the period 2018 2022. MoU on cooperation in the field of scientific and technological research between Council for Scientific and Industrial Research (CSIR) and National Research Council of Science and Technology (NST). MoU on cooperation in the field of ICT and Telecommunications. MoU on cooperation in the field of Micro, Small and Medium Enterprises between India and RoK. Three South East Asian countries namely Japan, South Korea & Singapore have mature defence industries with strong defence industrial base and coming out with world class sophisticated technologies in past few years. South Korea began to pay attention to the defence industry in the 1970s with capabilities limited to reverse engineering arms imported from the United States. Since then, the country's defence technology has consistently improved to the stage of producing capital-intensive smart weapons. Some of the major defence companies include Samsung, Korea Aerospace Industries, Hanwa and LIG Nex1 and these have been named among the Top 100 arms-producing and military services companies in the world last year by the Stockholm International Peace Research Institute (SIPRI). It is emerging as one of Asia's arms exporting powerhouses and has been ranked number 10 in defence technology rating recently. The major defence items that has been exported by the country comprises of amphibious assault landing ship, patrol craft, submarine, training ship, corvette, tanker, anti-ship missile, towed and self-propelled gun, trainer/combat, ground attack aircraft and FGA aircraft, training aircraft, MRL, Frigate and IFV. Countries in the region are also seeking to jointly develop defence capabilities through targeted local defence manufacturing by way of collaborating with other neighbouring countries. Exporting to these neighbouring countries would not only be beneficial in providing economy of scale and make country's domestic manufacturing globally competitive but would also help in strengthening the bilateral and defence ties amongst the South East Asian Nations. India should certainly consider seeking more technology partnership with South Korea with whom it shares warm defence ties. The defence ties between India and South Korean defence began in 2005, when the two countries signed a Memorandum of Understanding (MoU) on defence logistics and supplies. Further in 2010, both the countries signed two MoUs on defence-related exchanges of experience; information and futuristic joint defence technology development were signed. The same year, the two countries declared a strategic partnership. The defence industry growth is with different mindset i.e., beside national security, it has the potential to become a growth engine for South Korea, generating a new market economic growth and jobs. This could be the model for developing countries around the world for national development. Conventionally, India has contemplated more on South East Asian countries as the keystone of its expedition to spread political influence and profit from the area's economic vigor. However, with regard to procuring military arms for the enhancement of the defence capabilities of its Armed Forces, its preference has always been the Western Countries and thus neglecting the technology available in its neighbouring region. It is high time that the country readdresses the policies of the past and gradually emphasizes on the capabilities of these countries while procuring defence technologies especially in the back drop of the fact that these countries have the capabilities and have been successful in developing world class state-of-the-art defence equipments and technologies and giving a strong competition to the Western countries. Also, given the fact that at present India's focus not merely lies in modernizing its three defence services with high tech and sophisticated defence weaponries/technologies but also on lowering down its spending and dependence on imports by way of developing a strong indigenous defence industrial base. India thus is looking forward to transcend the dependence of a buyer-seller equation and move towards joint development of weaponry. Procurement from South East Asian countries would definitely be a huge and useful step towards this as these countries are ready to provide the requisite technology transfer with potential defence deals and also ready for joint development in defence which has been missing in the deals concluded with US and European countries lately. Barring few countries Japan, Singapore, and South Korea the rest of the south East Asian region continues to rely on foreign technologies, as these countries have not been able to develop an independent and strong local defence industrial base. Foreign firms have a dominant presence in these markets especially US and European suppliers. However, as of now, these countries are looking out a way to reduce most of their dependence on western countries. Most of them lack the capabilities and technologies needed to design and manufacture state-of-the-art hi-tech defence technologies and arms. 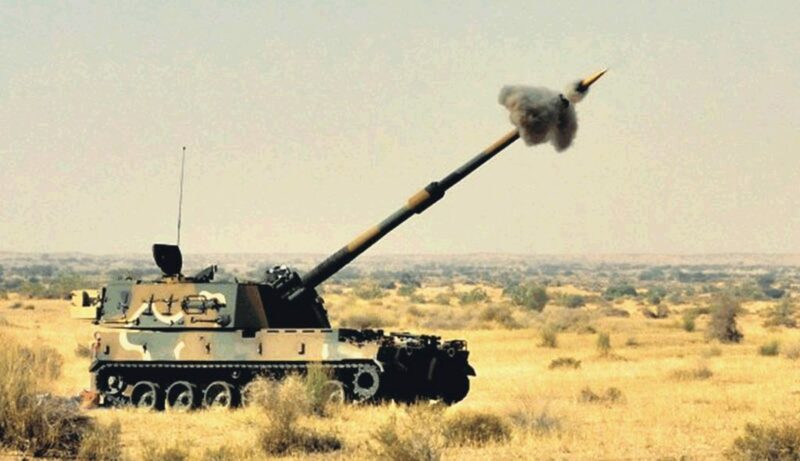 Considering that the country boasts a technologically advanced and cost-effective military industrial complex and has a wide base of companies like Hyundai, Samsung, Hanwa, Daewoo and Korean Aerospace, and their capabilities in missile development and naval combat system are well acknowledged/internationally accepted in the global defence market, could help India diversify its list of defence suppliers and R&D allies over and above having world class technologies in its arsenal and that too at competitive price. There has been an upswing in India's defence cooperation with South Korea and both sides are expected to explore ways to enhance it. Defence sector cooperation leading to co-production of hi-tech weaponry and joint exercises of the two navies is gathering momentum at present between the two countries. Beside Hanwa and L&T tie up on K-9 Vajra on going defence contract, a number of naval systems are also on offer for India to acquire. India and South Korea are expected to hold talks on purchase of Trainee aircraft KT-1 of Korean Aircraft Industries for the Indian Air Force (IAF). Opportunities in naval shipbuilding and port infrastructure in India are also on the agenda.